At Bluff Creek Dental, we strive to provide expert dental care in a fun, friendly, and easygoing environment. Our dentists and highly trained team of dental specialists work hard to treat every patient on an individual basis, creating comprehensive, personalized treatment plans that achieve great dental health and confident smiles. For our younger patients, that includes the close watch of dental development, regular professional dental cleanings, and sometimes the application of dental sealants. For children, the chewing surfaces of the molars are the most vulnerable areas to cavities and decay. Full of nooks, crannies, and crevices that make the perfect place for bits of food and bacteria to hide, chewing surfaces are virtually impossible to completely clean with a toothbrush. This makes them highly susceptible to plaque and tartar formation. Additionally, since children tend to eat higher amounts of sweets than adults, and baby teeth aren't as resistant to cavities as adult teeth, it is important to do everything you can to protect your children’s teeth. Dental sealants are a big part of this. 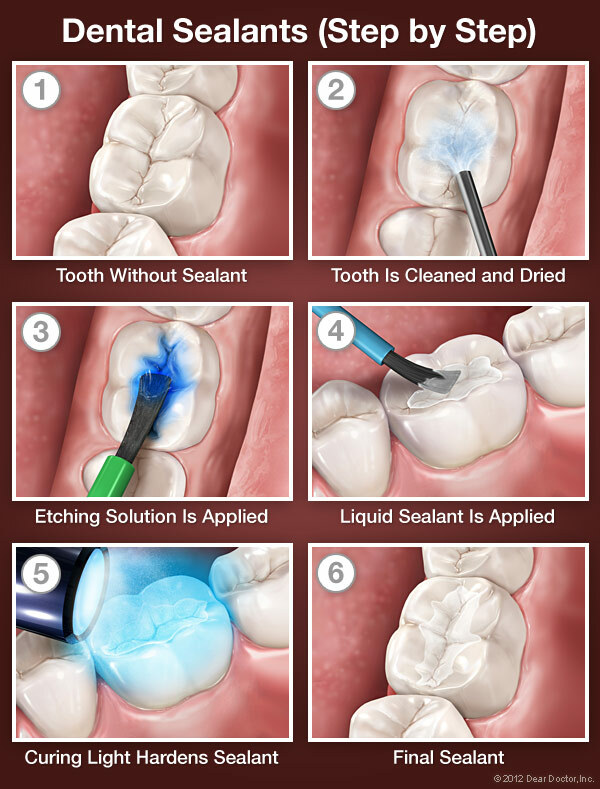 Sealants are a safe, effective, FDA-approved treatment, which involves coating the chewing surface of the molars with a thin, transparent layer of resin. This thin layer of resin creates a barrier between teeth and bacteria, protecting the dentin from corrosive acids and cavities. Before starting, our dental team performs a thorough examination of the teeth, searching for dental decay. If any decay is found, we'll carefully remove the decay and sterilize the tooth. Then we’ll fully clean and sterilize the teeth of any remaining bacteria or plaque. 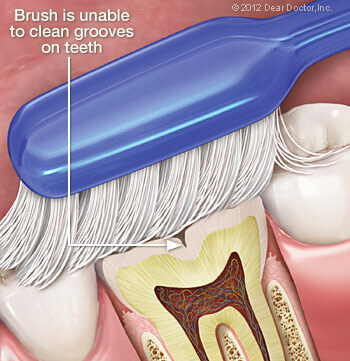 After cleaning the teeth, we'll apply a solution to gently roughen, or "etch," the surface of the teeth. This will help the resin adhere. Next, a thin coat of liquid resin will be applied to the teeth using a brush. We'll use a specialized curing light to help the resin harden, which takes about a minute. Once hardened, the sealants are good to go! 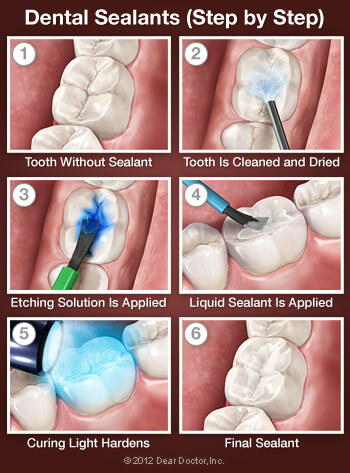 Even though the resin will protect them, sealed teeth still require thorough and consistent care and oral hygiene. Your child will need to continue brushing and flossing every day, and he or she still needs to see a dentist for regular professional cleanings. Dental sealants will last up to 10 years, and although we'll need to monitor them for wear and tear, they'll help to reduce your child's chances of cavities by up to 70%! Sealants have gotten some unfortunate bad press thanks to a widely-publicized 2012 study that raised concern about behavioral problems stemming from trace amounts of BPA found in some (but not all) resins used in sealants. While the study made a lot of noise, there was never a causal link established between the two factors, and BPA is actually far more prevalent in beverage containers than in dental restorative materials. Since then, both the American Academy of Pediatric Dentistry and the American Dental Association have reaffirmed their support for this helpful dental procedure as an effective and safe way to fight cavities. With proper care and diligent oral hygiene, dental sealants can help keep your child's teeth healthy, strong, and free from cavities and decay. If you'd like to find out more about how dental sealants can help your child, feel free to call us at (952) 679-6360 or reach out to us at our contact page. If you'd like to schedule a consultation for dental sealants with one of our dentists, you can do so online using our appointment request form.